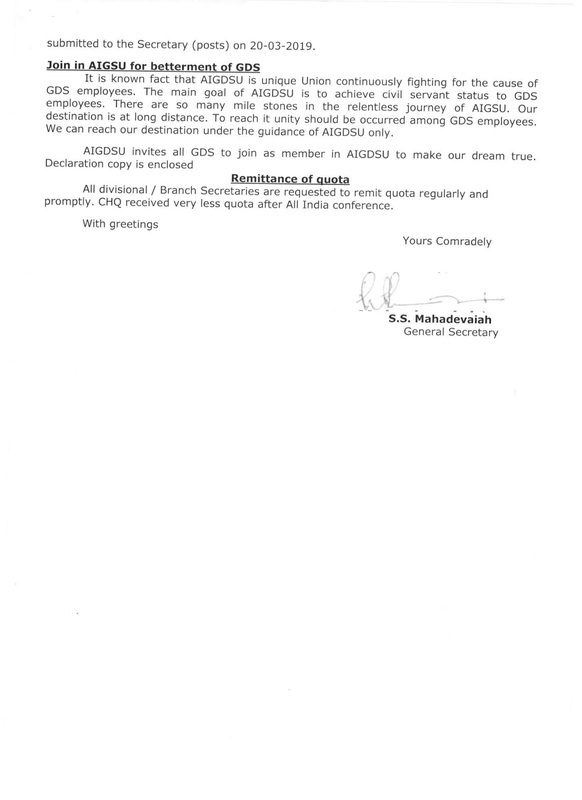 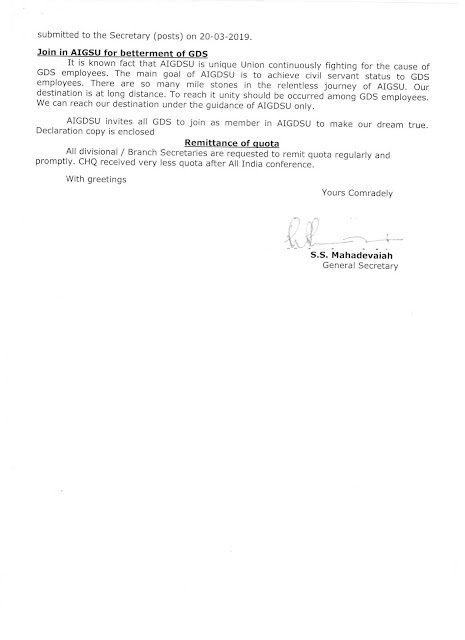 "JOIN MASSIVELY IN AIGDSU WHICH STANDS ALWAYS FOR THE CAUSE OF GDS"
CONGRATULATIONS FOR MAKING INDEFINITE STRIKE A SUCCESS. 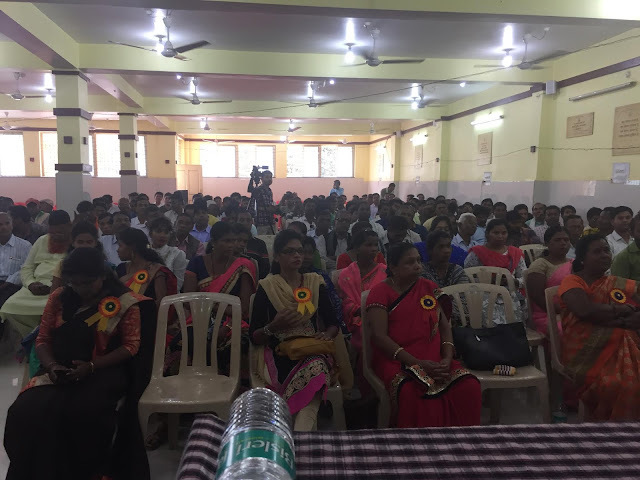 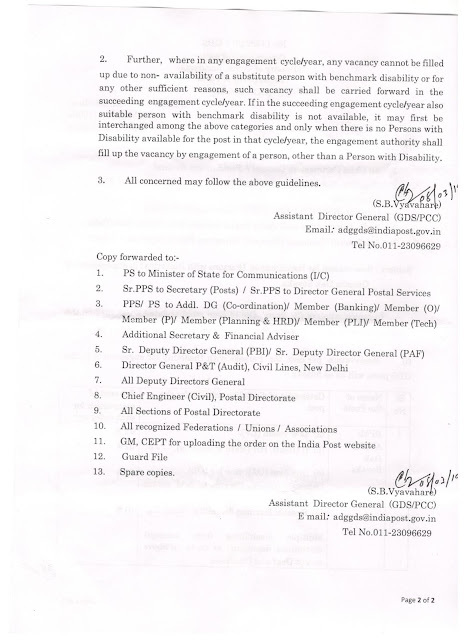 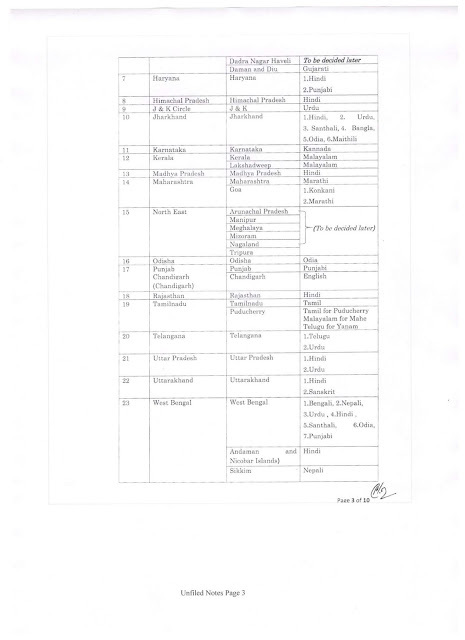 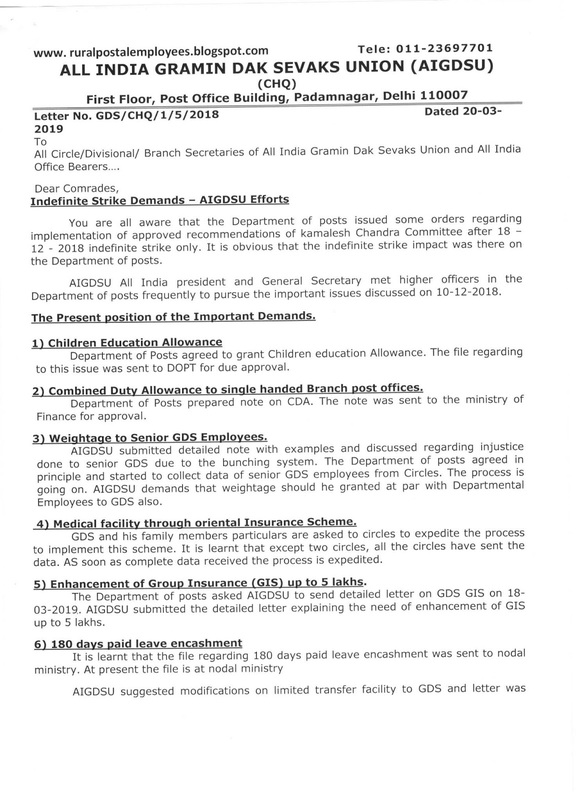 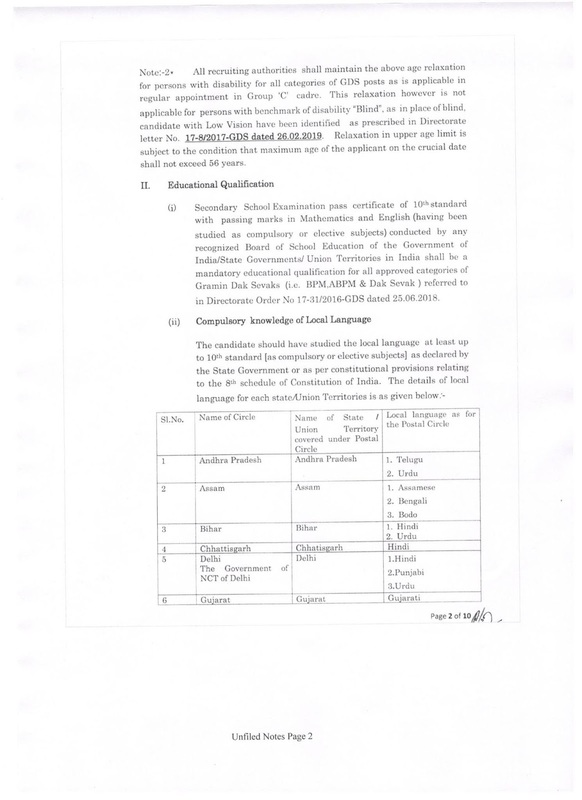 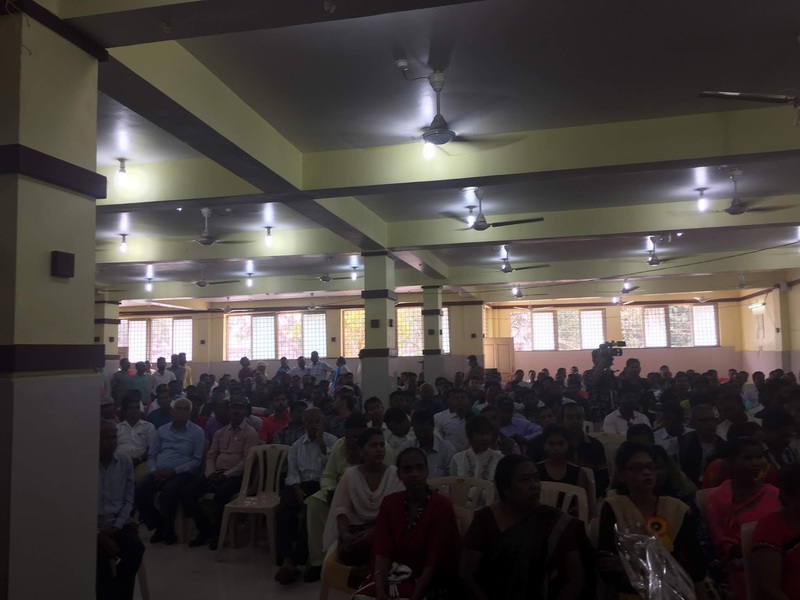 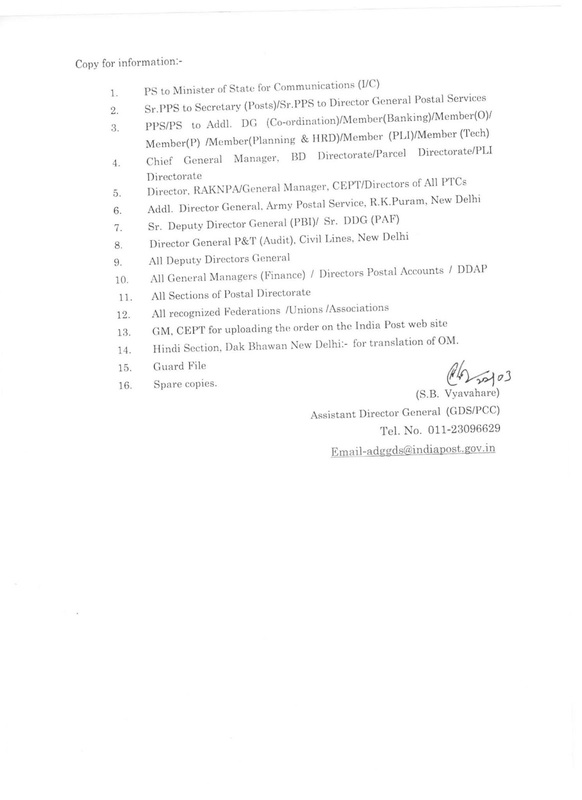 Implementation of approved recommendations of Kamlesh Chandra Committee on disciplinary aspects specified in Rule 9 (Minor and Major penalties of GDS (Conduct and Engagement) Rules for all categories of Gramin Dak Sevaks (GDS). 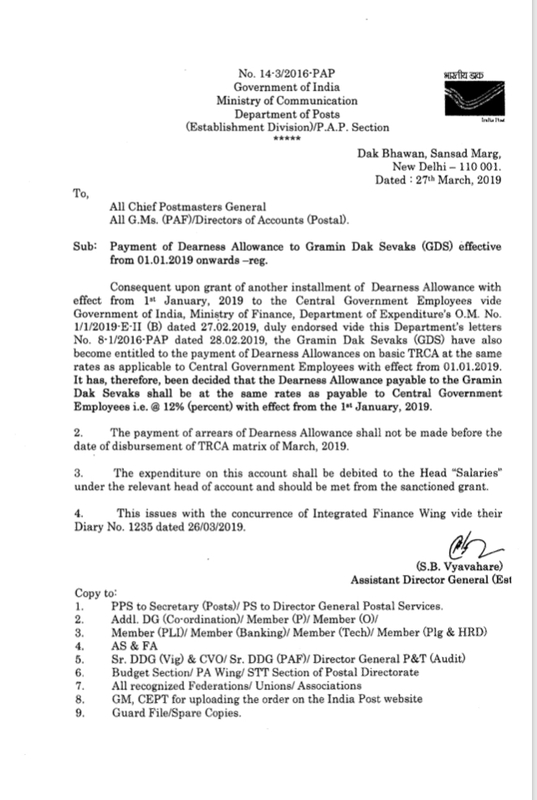 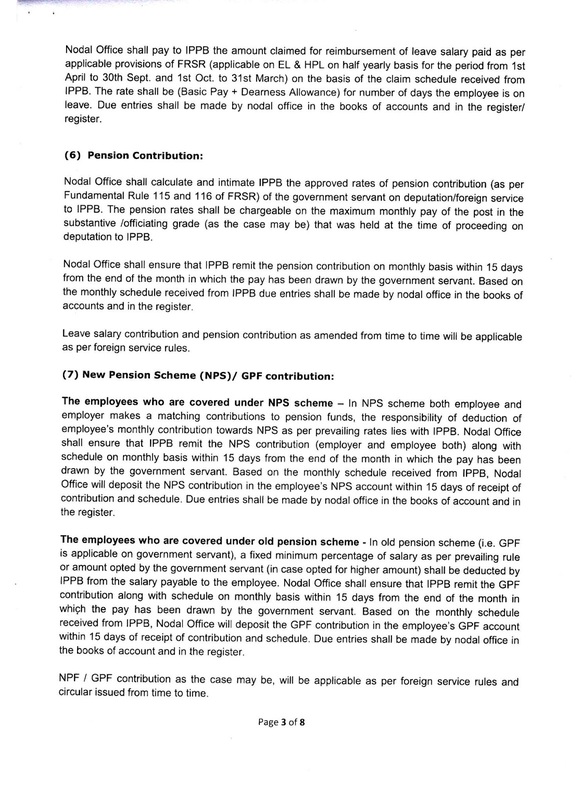 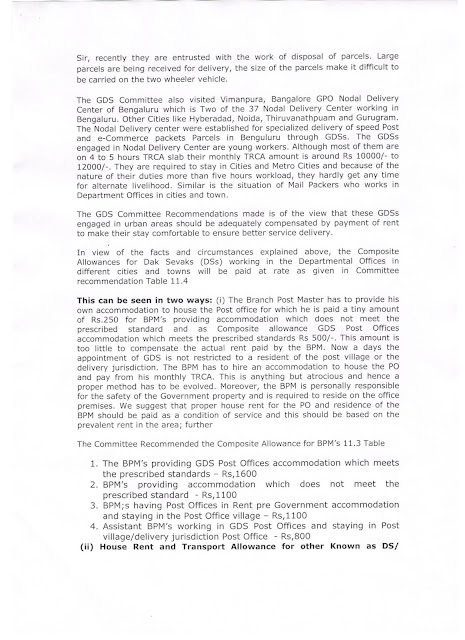 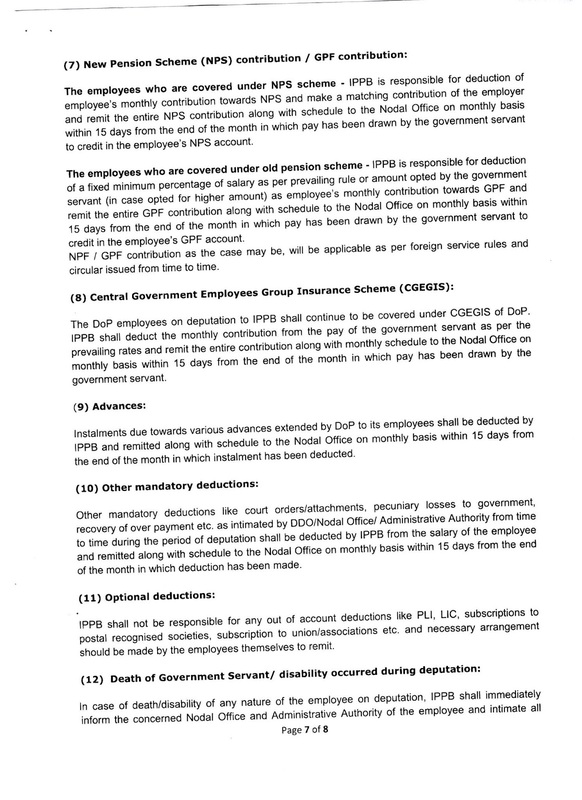 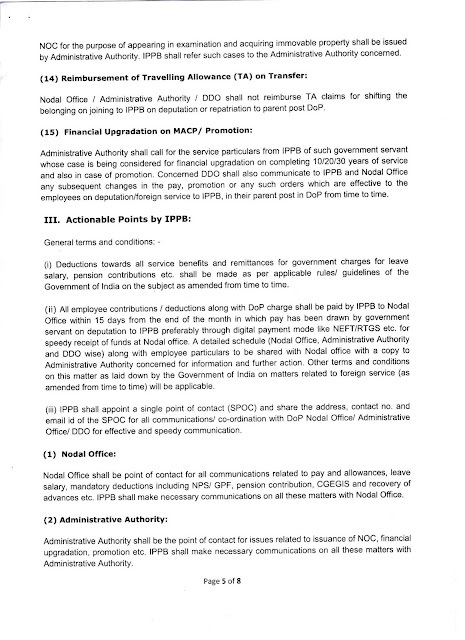 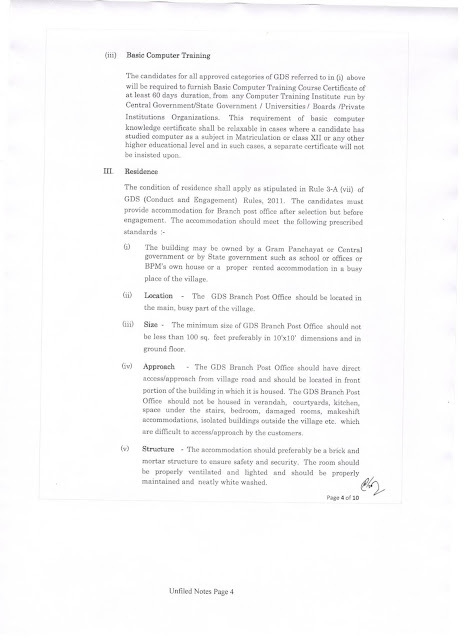 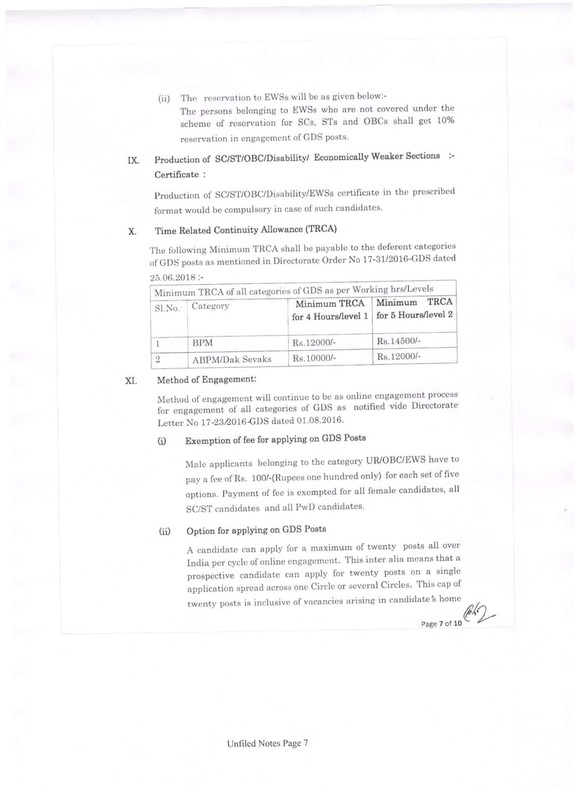 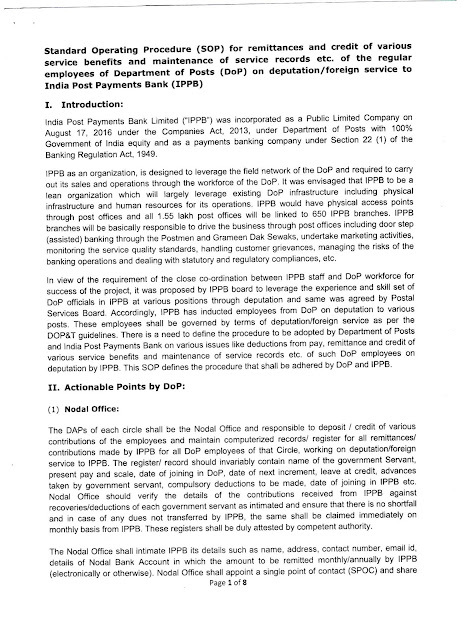 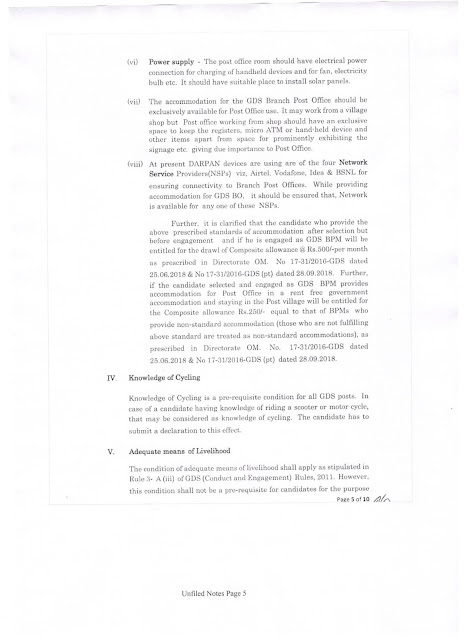 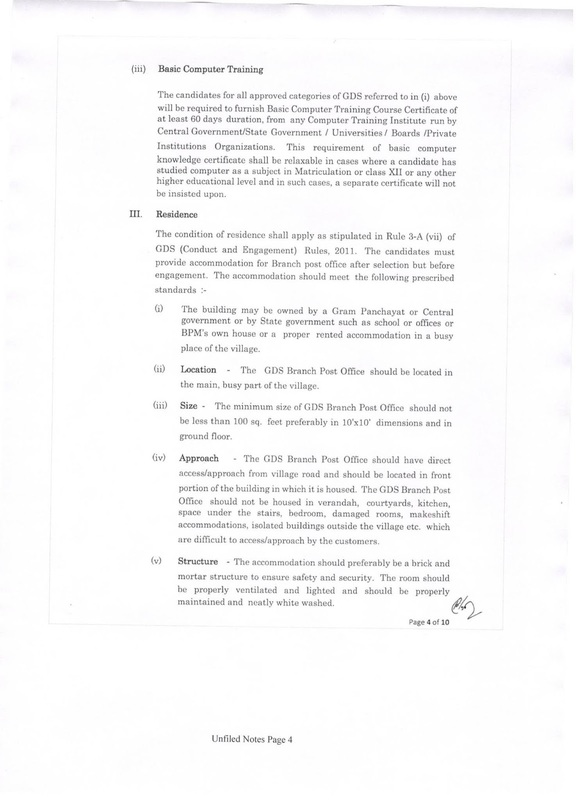 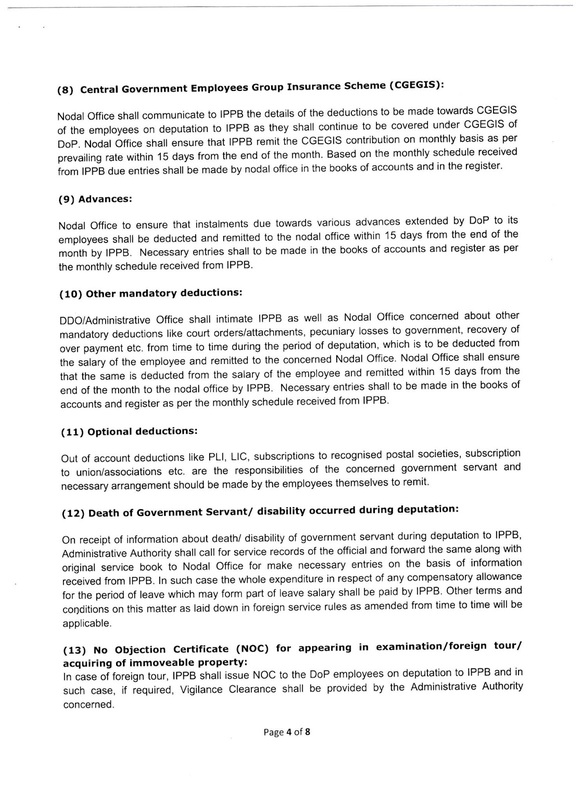 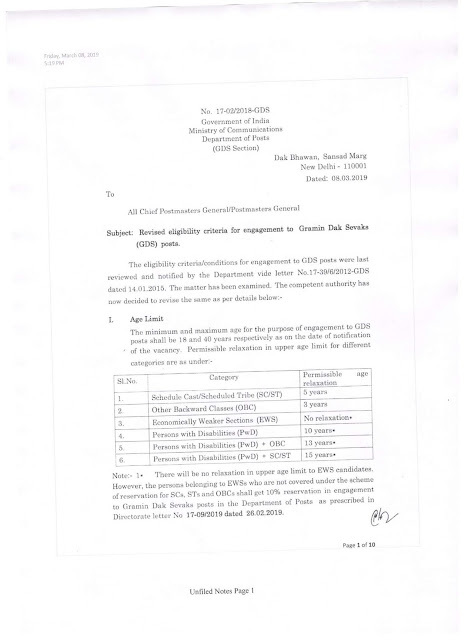 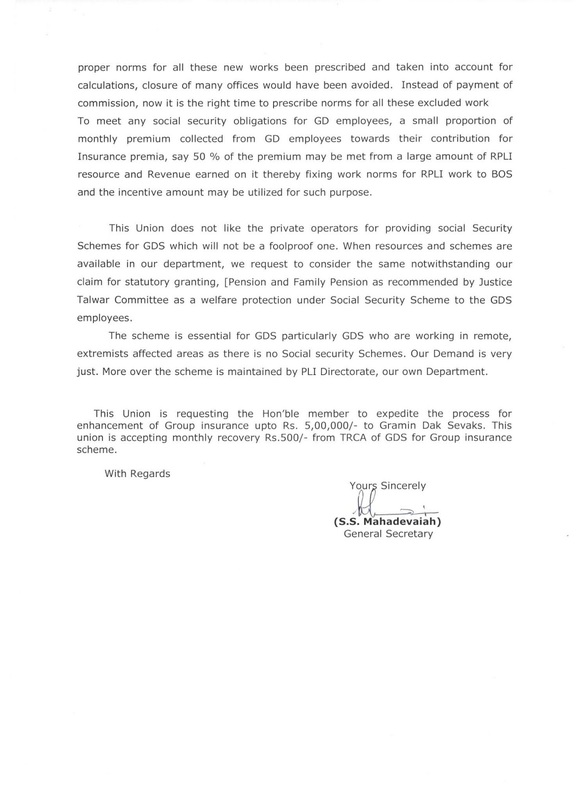 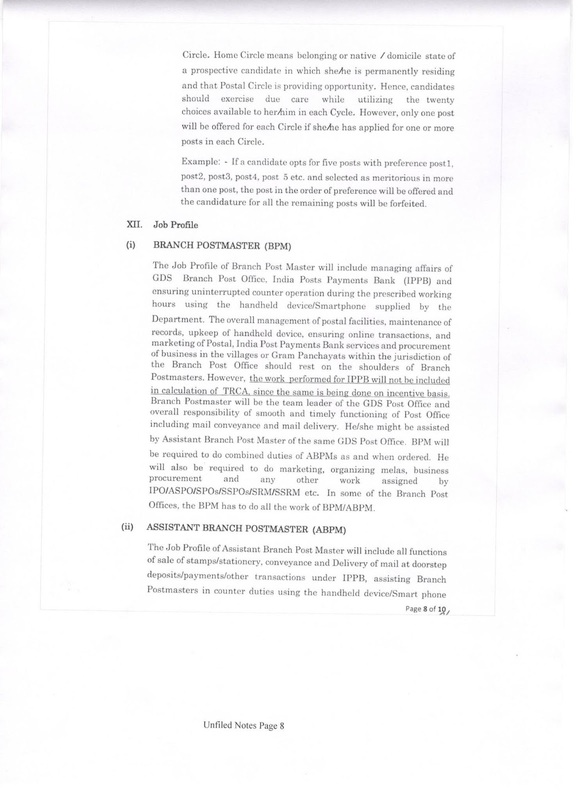 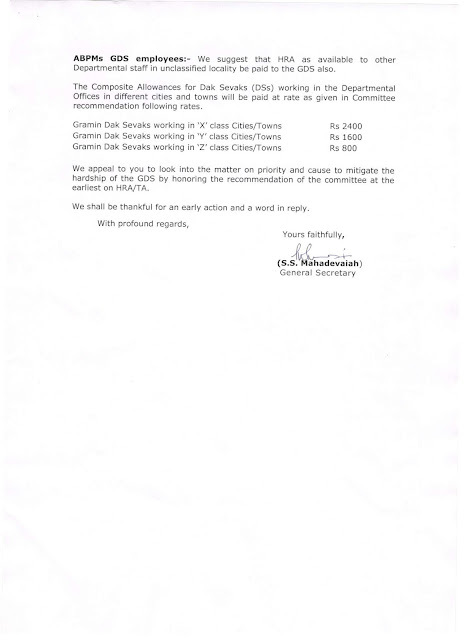 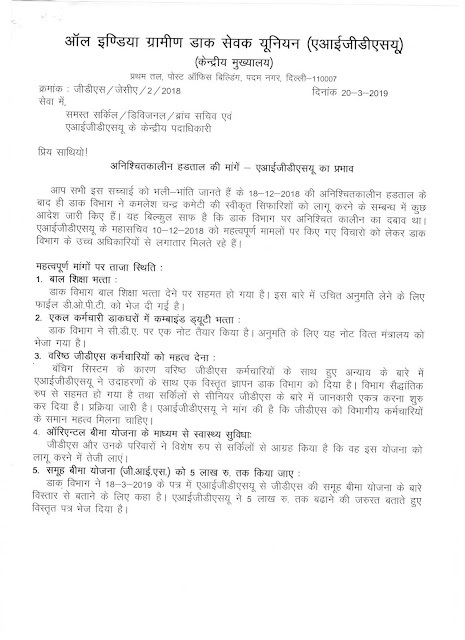 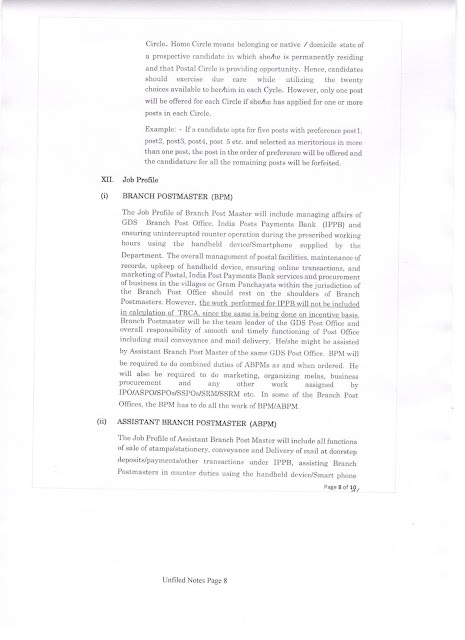 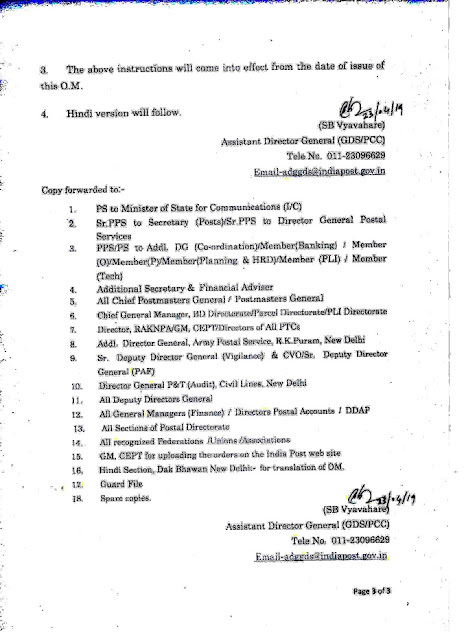 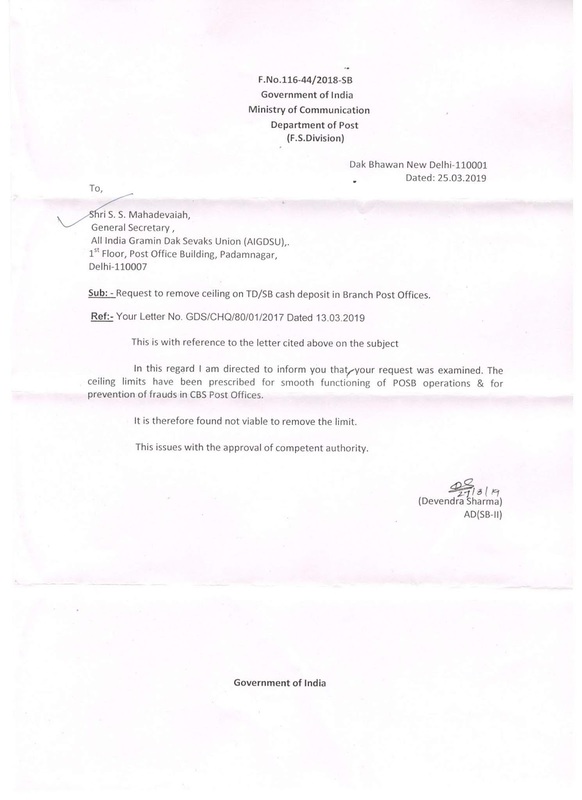 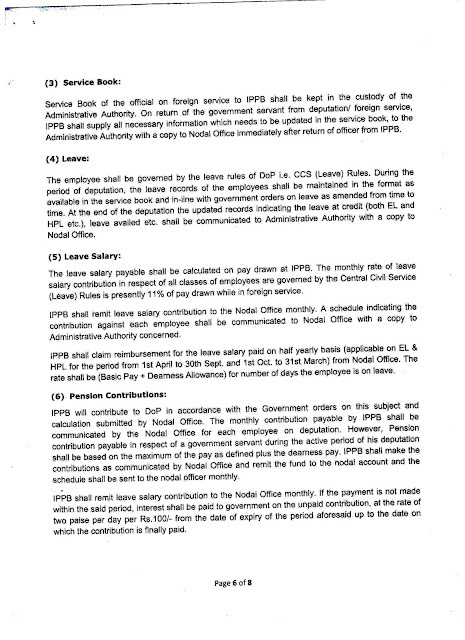 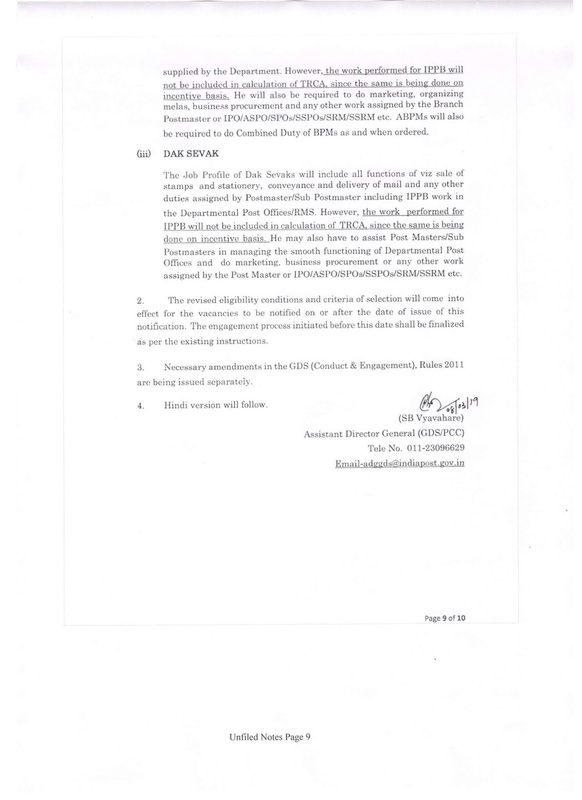 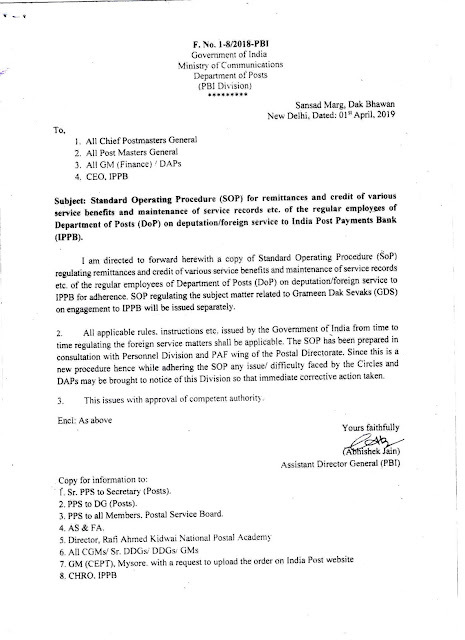 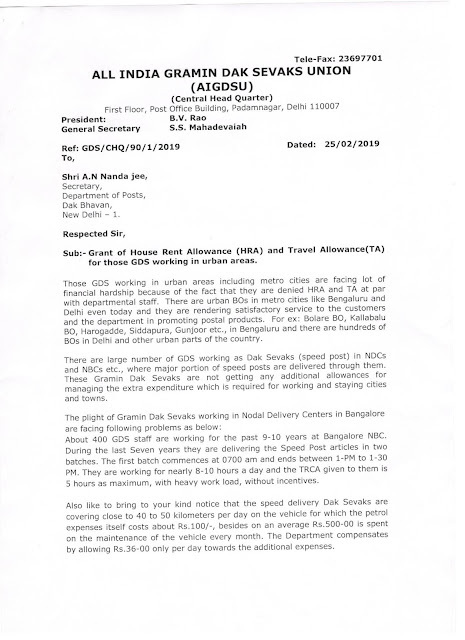 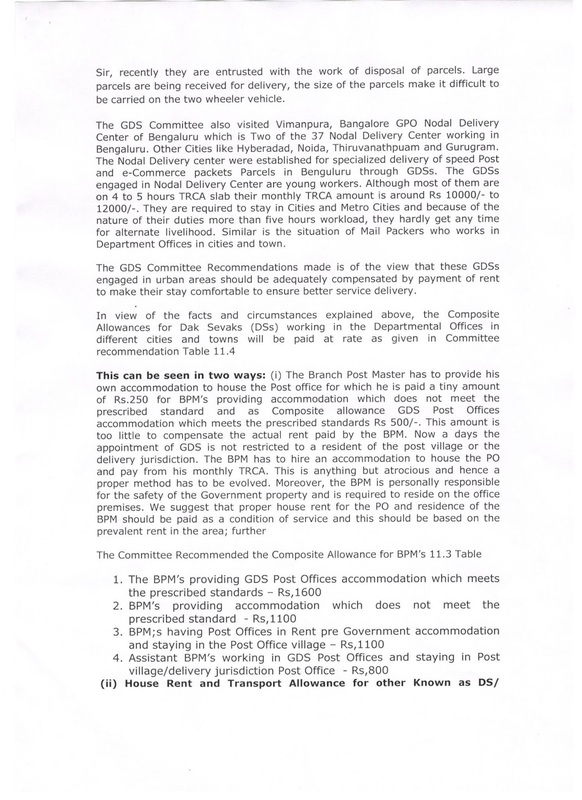 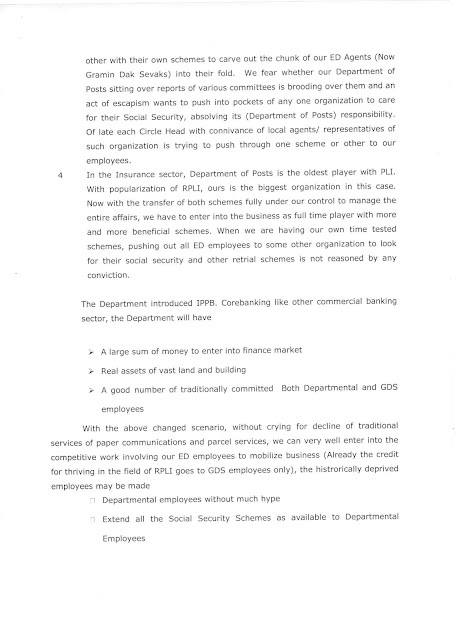 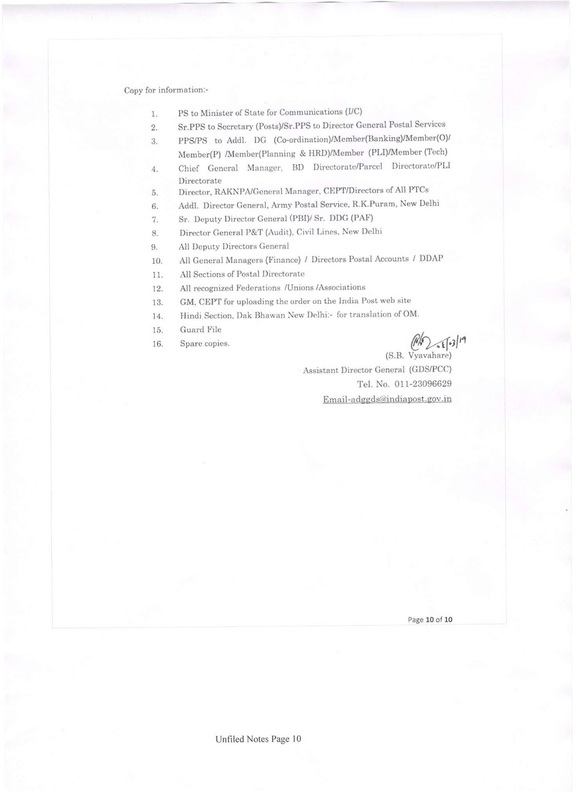 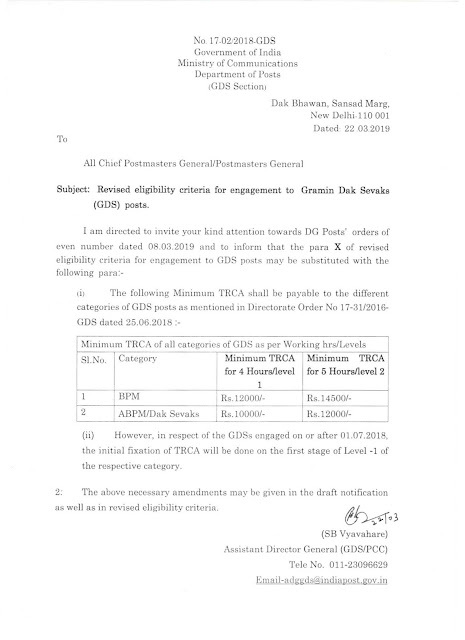 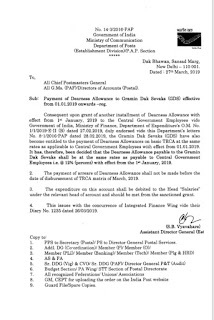 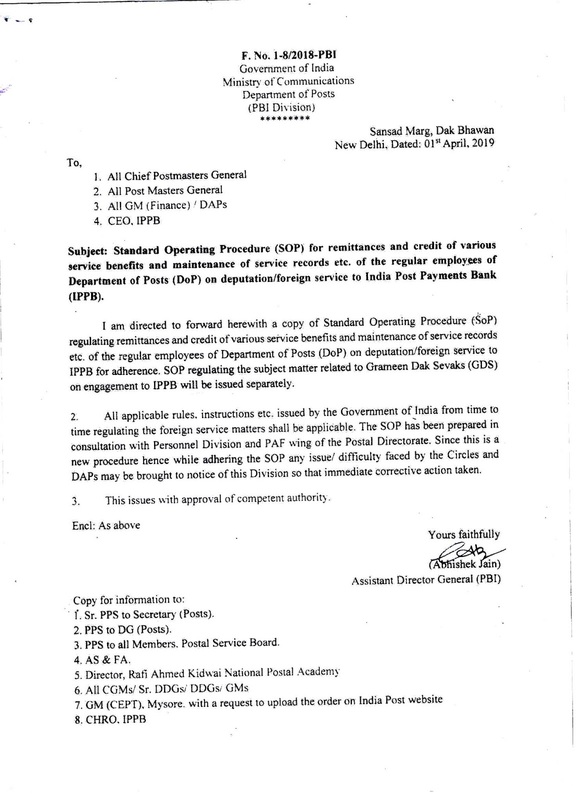 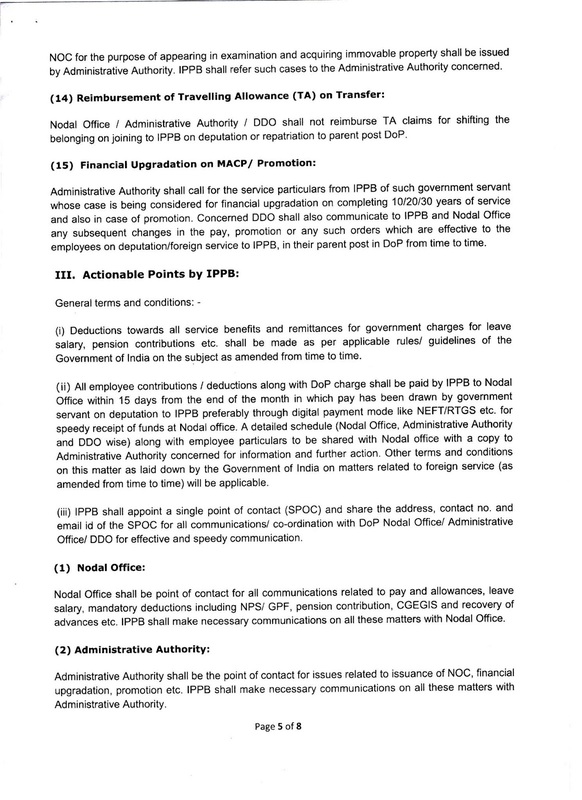 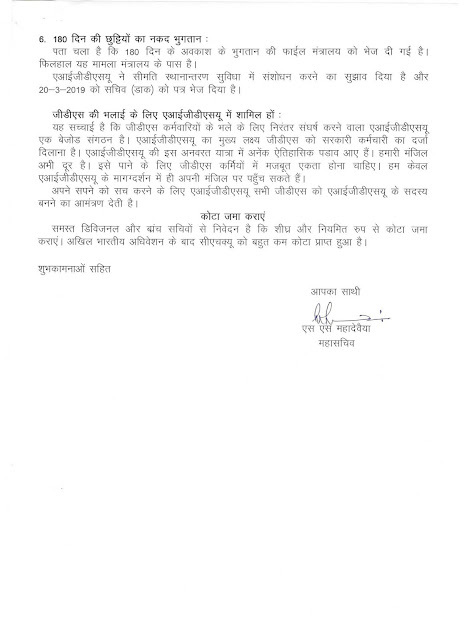 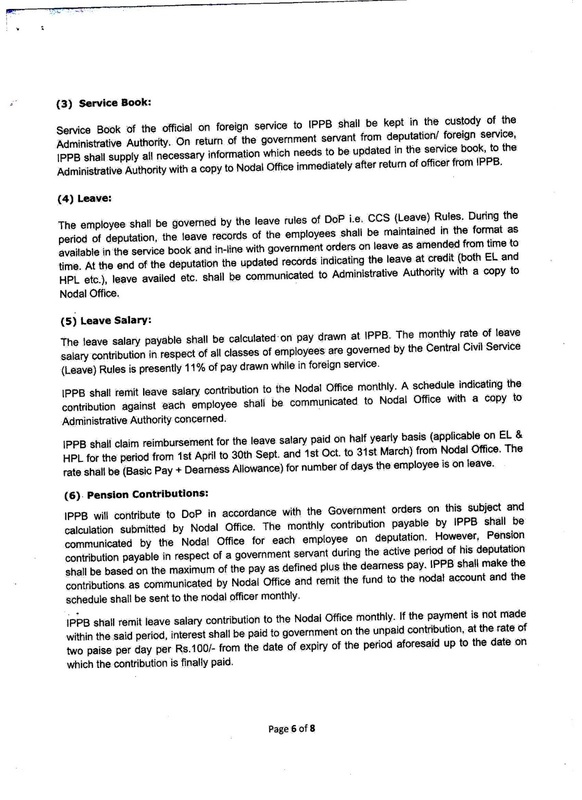 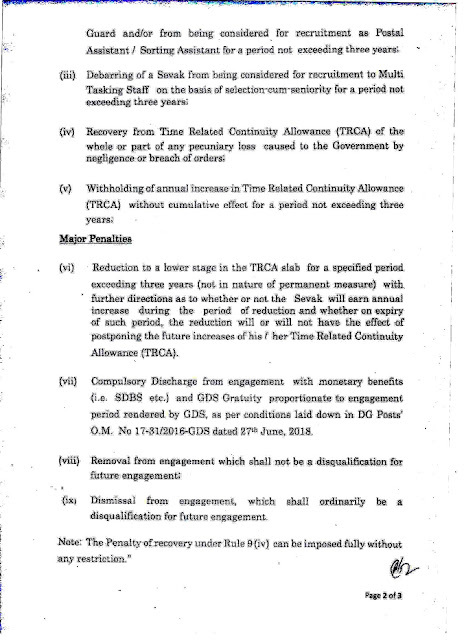 CHQ Letter to DOP - Enhancement of Group insurance upto Rs. 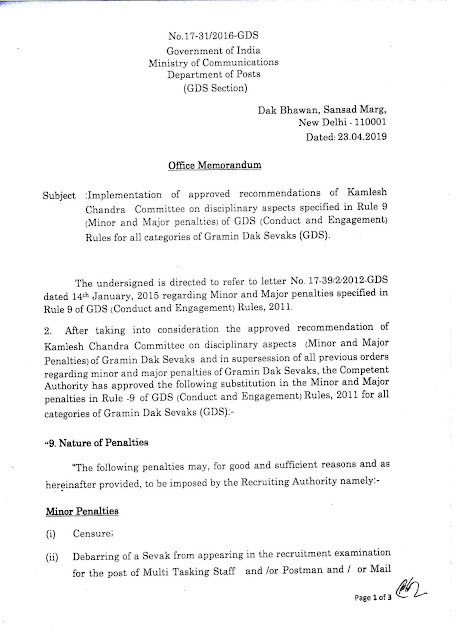 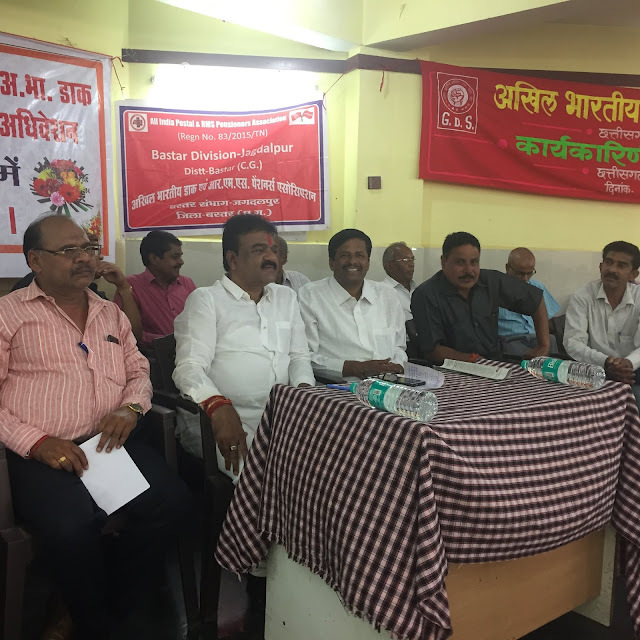 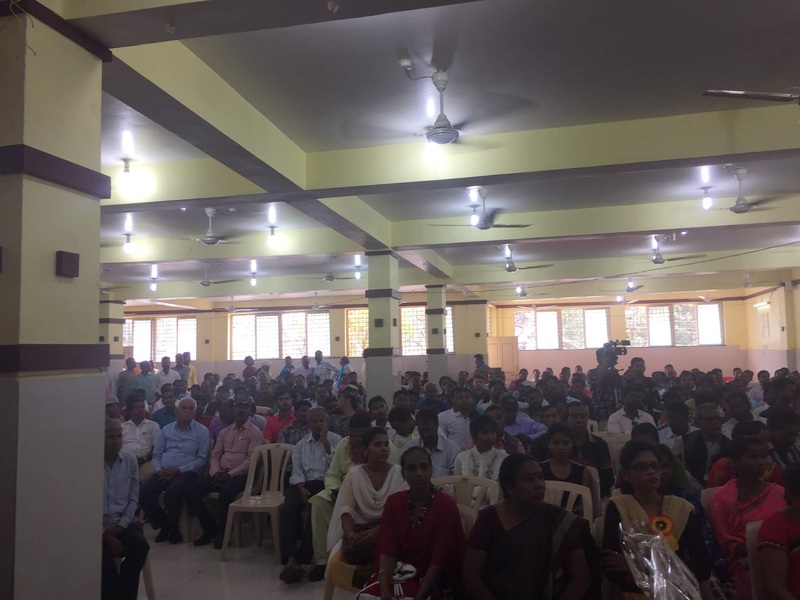 5,00,000 to Gramin Dak Sevaks- Reg. Enhancement of Group insurance upto Rs. 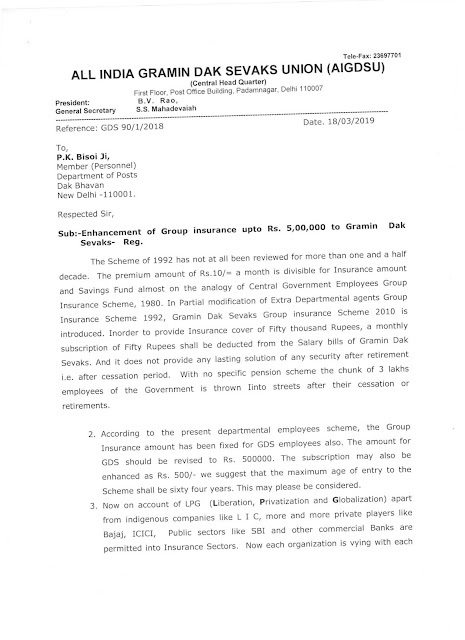 5,00,000 to Gramin Dak Sevaks- Reg. 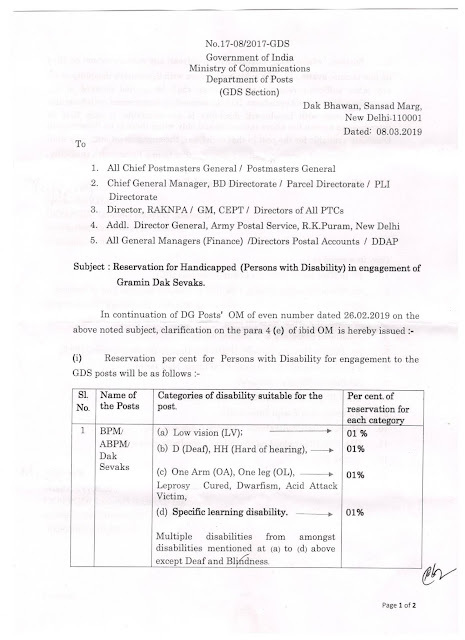 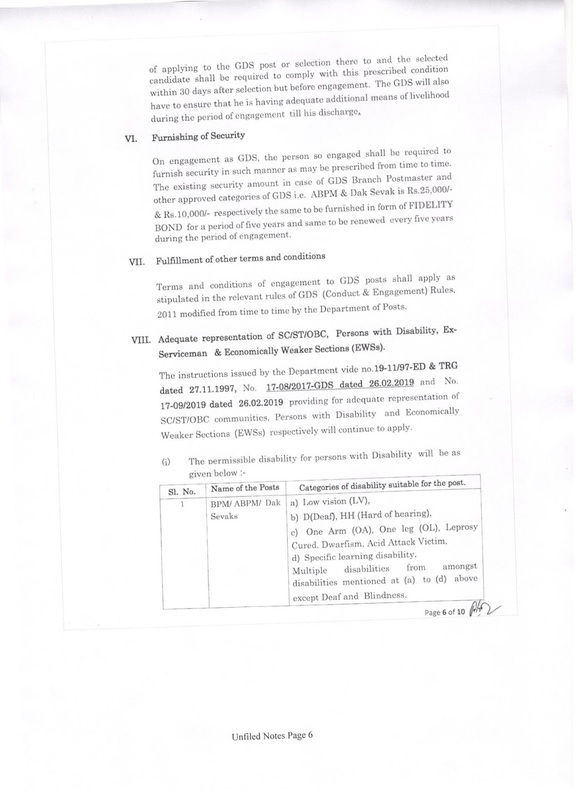 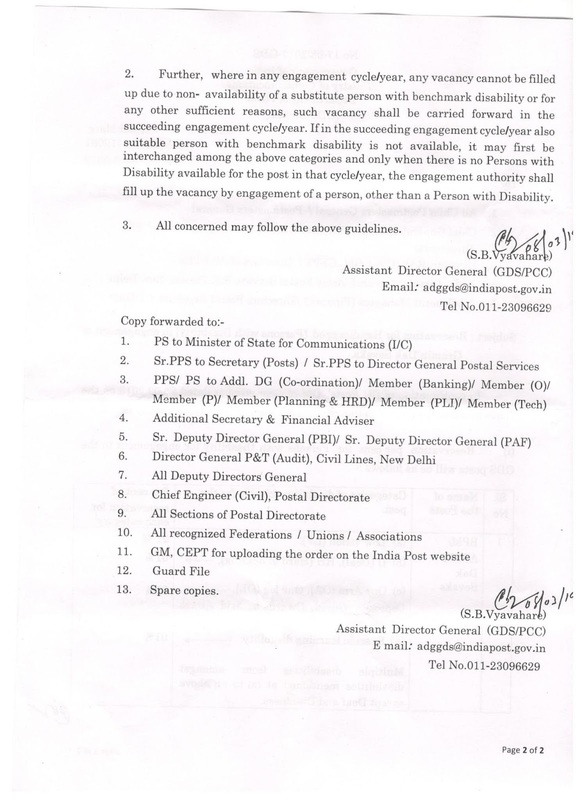 Reservation for Handicapped (Persons with Disability) in engagement of Gramin Dak Sevaks. 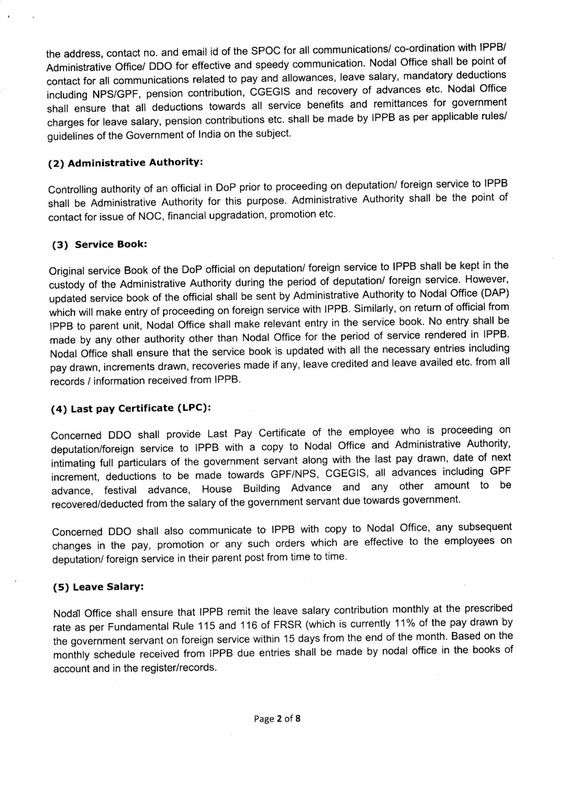 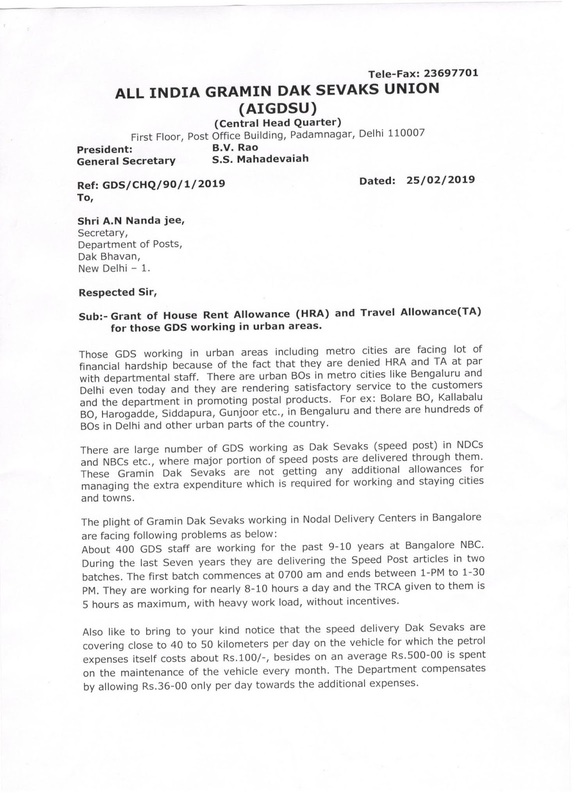 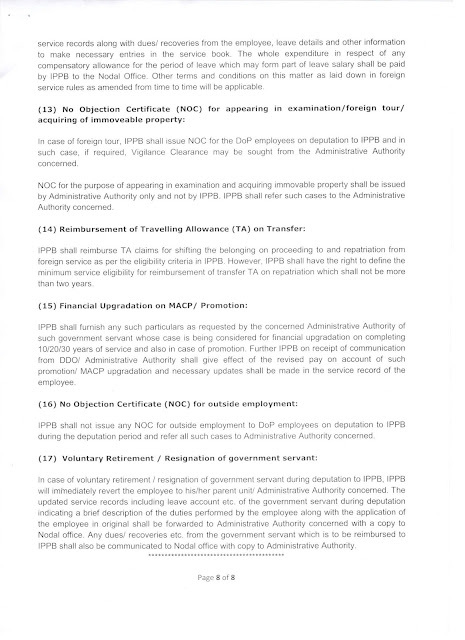 Grant of House Rent Allowance (HRA) and Travel Allowance (TA) for those GDS working in urban areas. 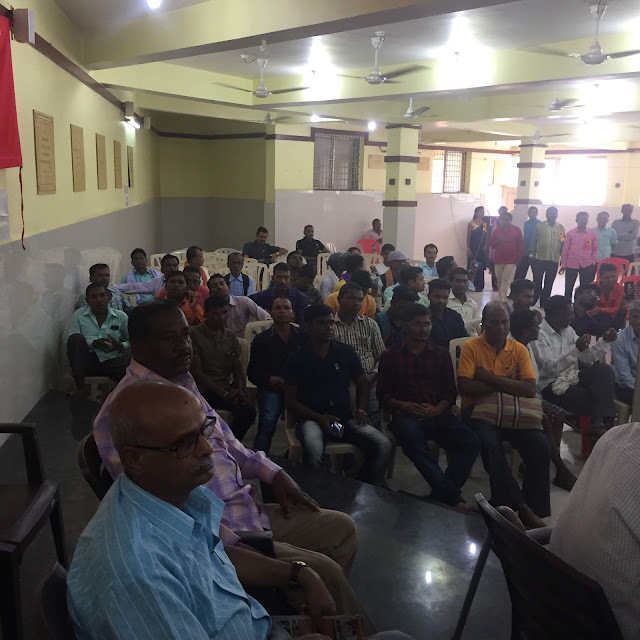 Hats off and militant salutations for the heroic struggle our members.